28% of Filipinos in National Urban Philippines have accessed the Internet in the past month. 5% access the Internet everyday. Filipino internet users are likely to be below 29 years old, single and are better educated. Internet use is not restricted just to the big cities like Metro Manila. Other cities are experiencing internet growth. For example, 35% of Filipinos in Cagayan de Oro have accessed the internet in the past month. Filipino Internet users are more likely to be opinion leaders and early adopters compared to traditional media consumers. They are likely to be individualistic, trend conscious, willing to pay for quality products and are tech-enthusiasts. Internet Cafes are an important internet access point. 71% have accessed the internet from internet cafes in the past 3 months. 47% of all internet time are spent in internet cafes. Internet cafes are also a dominant access point fo ruser from the lower socio-economic classes. Email, Instant messaging and Search are the most common online activities for Filipino internet users. Yahoo! is the dominant web-based email, instant messaging and search service in the Philippines. Social networking is a key online activity. 51% claimed to have visited a social networking site in the past month. 1 in 3 Filipino internet users have a blog. Friendster is the leading social network in the Philippines. What does this mean to you as an OFW or a Filipino immigrant? 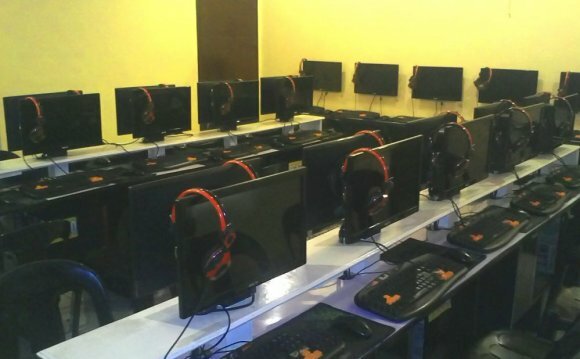 MDEL Internet cafe Mandaue Cebu Philippines.